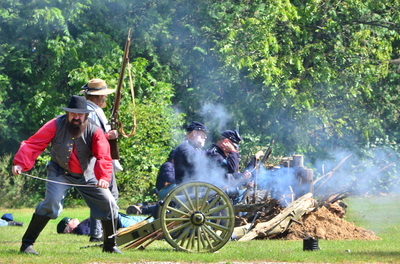 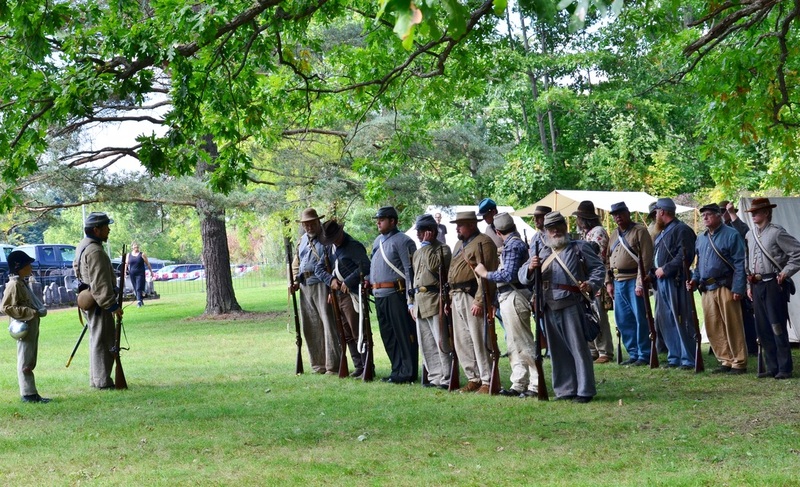 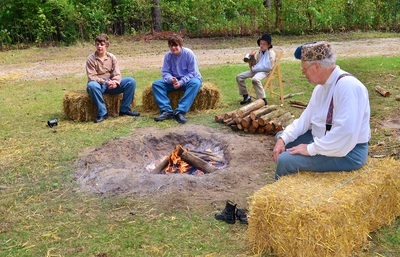 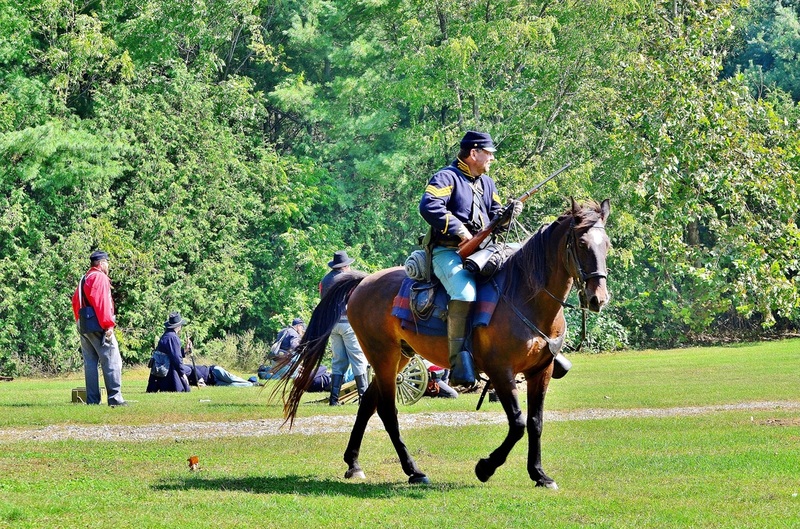 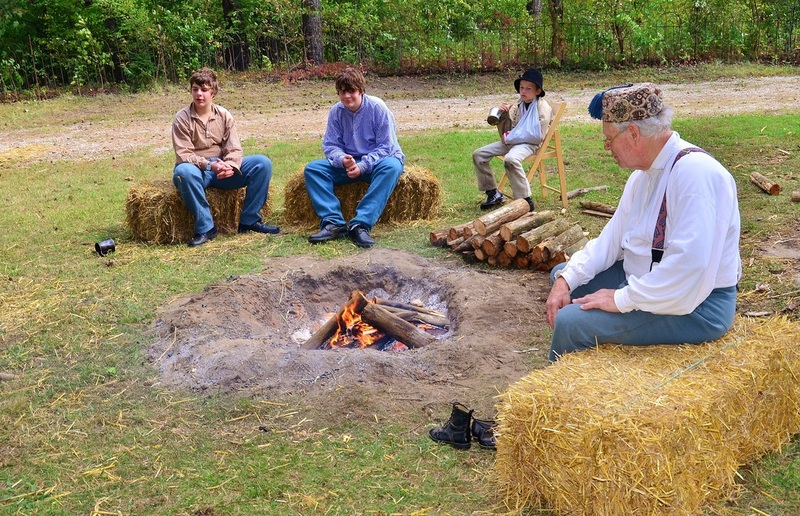 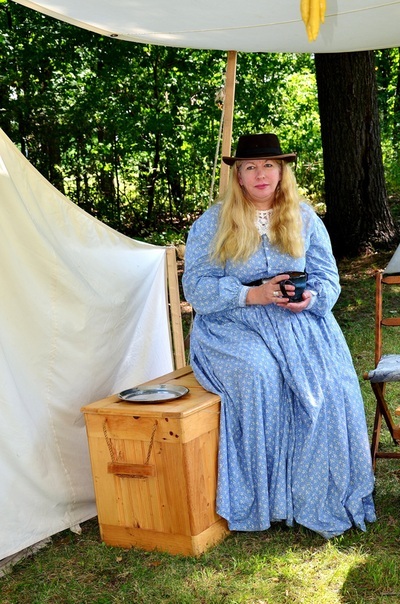 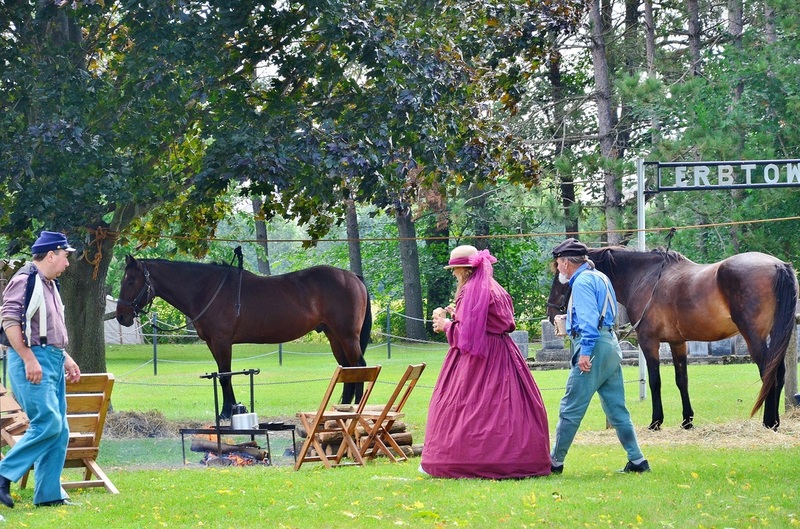 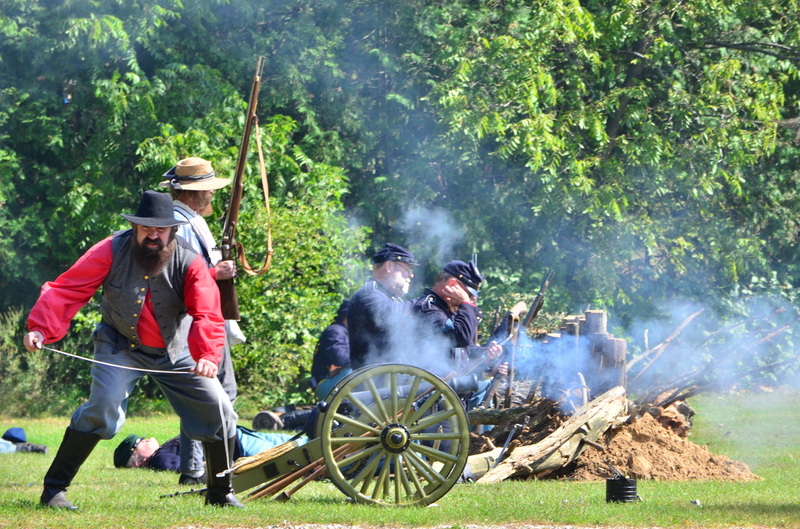 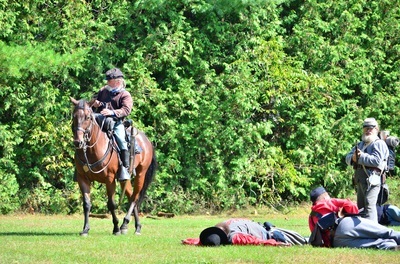 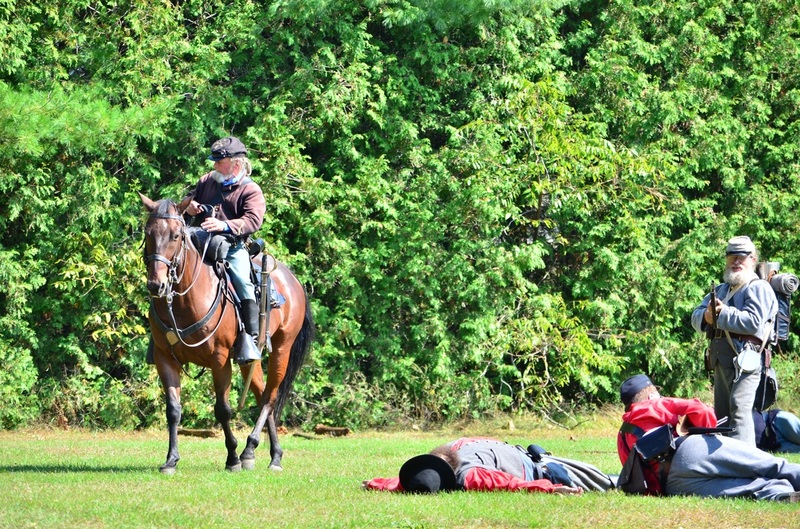 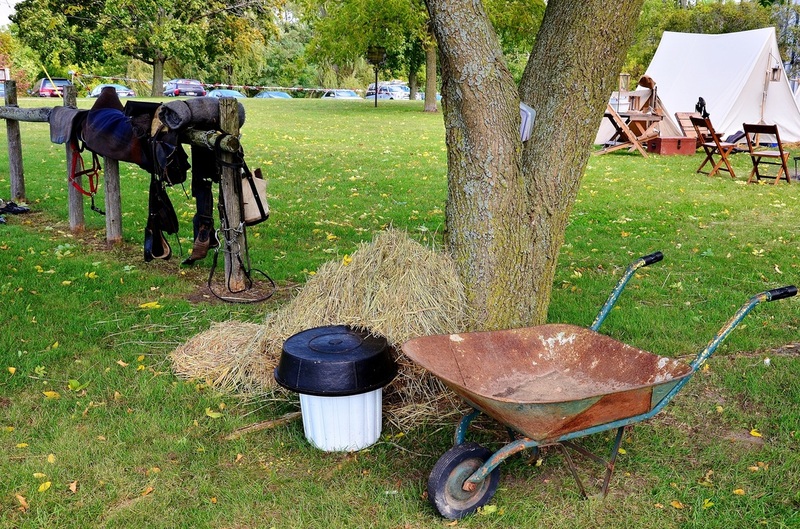 Civil War Re-enactment, September 22nd 2014. Over 50,000 Canadians (with some estimates up to 65,000) fought alongside Americans in the Civil War, the vast majority on the Union Side, usually due to family ties. 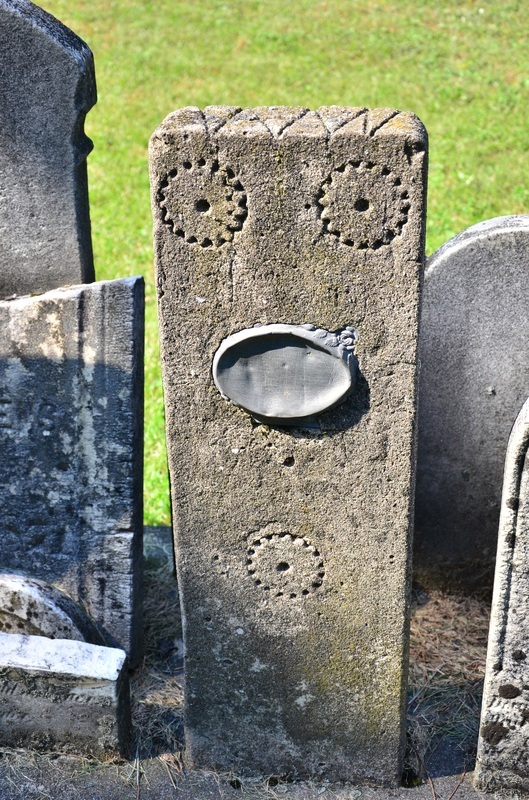 Four of these came from Otterville, Ontario, just south of Norwich. 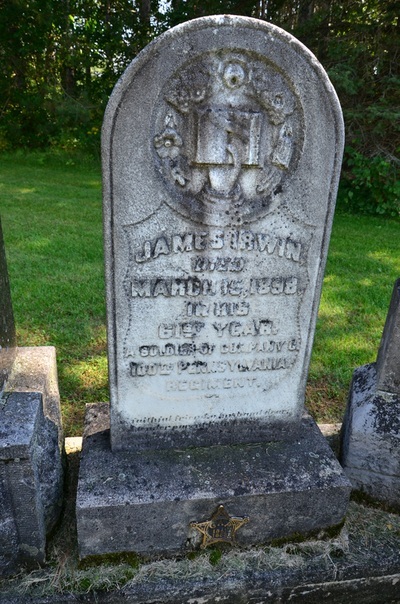 One was a free African-Canadian: Francis Johnson, the son of a local mason. 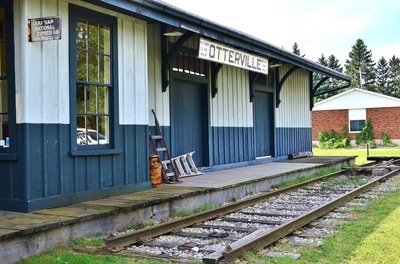 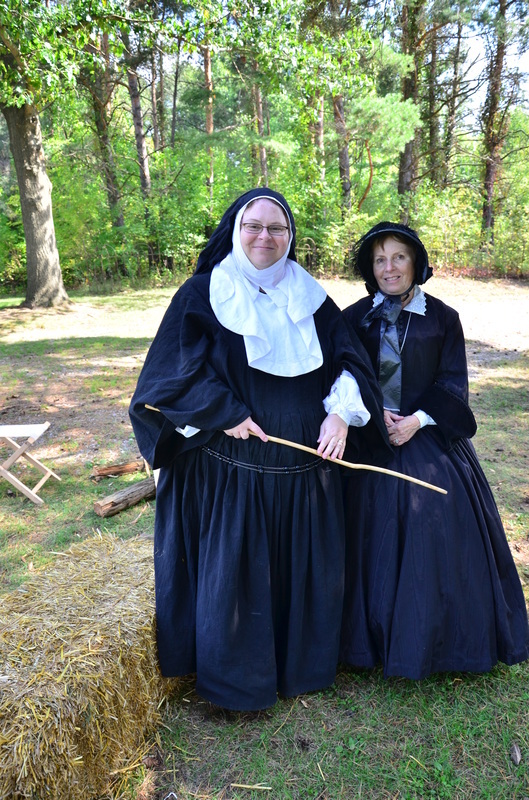 Original settlers in Otterville included free Blacks and escaped slaves. 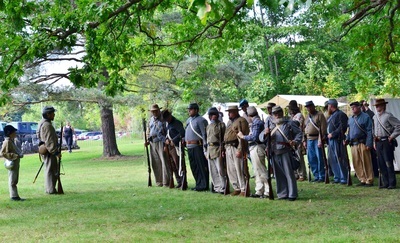 By 1850 there were 150 Black settlers in the area. 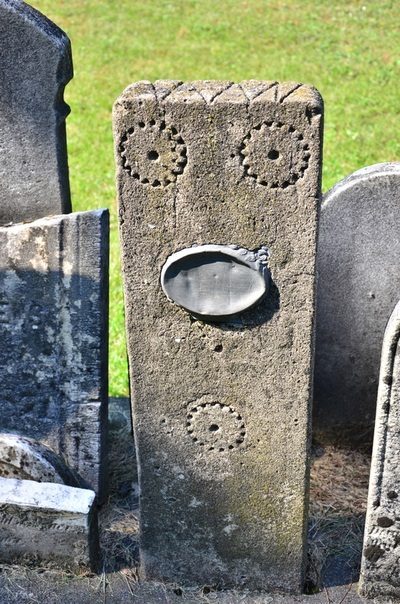 There is still a cemetery from the now-vanished African Methodist Episcopalian Church, though all graves remain unmarked. 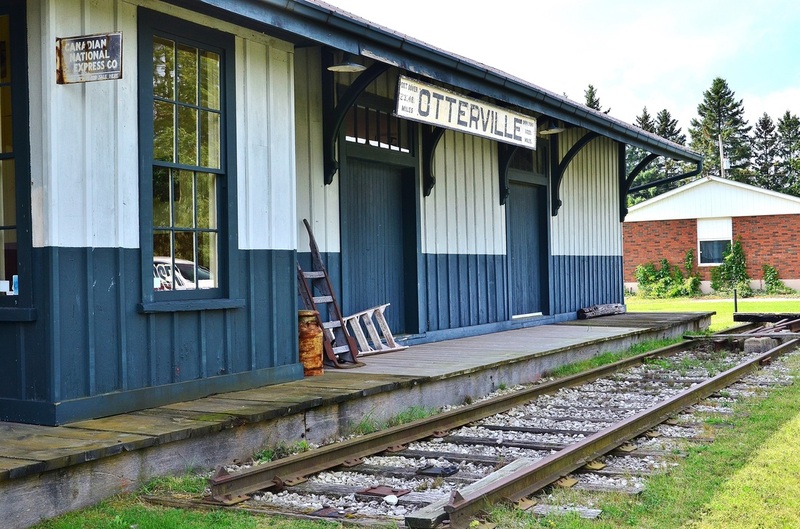 For more details on the African-Canadian history of Otterville, click on my song page for Graves without a name.